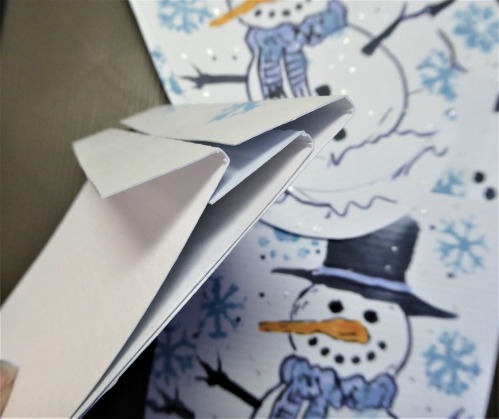 Here's a fun little winter project for you! The happiest thing about snow is snowmen. 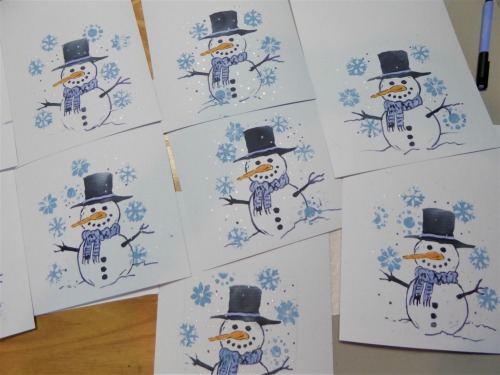 In Particular, THIS Snowman, from StencilGirl Products. with a pale blue cardstock and a plan. with ink, paint, markers and Liquid Pearls. I cut out the banner shape leaving room for a fold over space. and tied lace and ribbon in between for fun and texture. No snow in my yard yet...but I'm ready! My grand babies will love it! 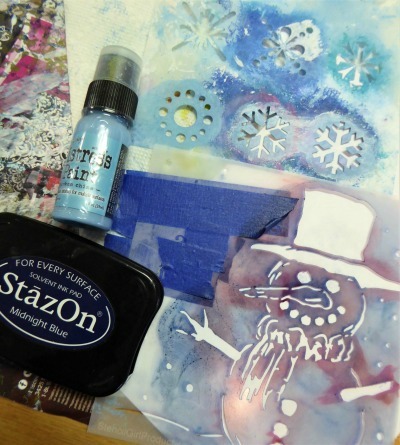 Enter the StencilGirl Give Away to WIN! and we’ll randomly choose a $25 StencilGirl Gift Certificate winner. The more blogs you comment on, the more chances you have to win. Winner will be announced on our Facebook Page on November 9th. Love this project. You have given me some ideas. This is so sweet - another great idea to work on with the kids! 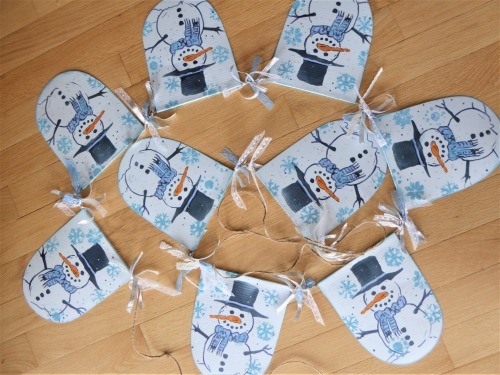 Janet I love the banner, I'm such a snowman collector this is a gorgeous idea!! you got tired of it. 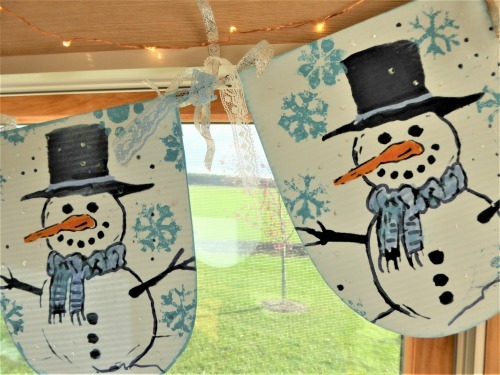 Such a lovely project, great decoration for my kitchen window! Thanks for sharing! So cute! Thanks for sharing. Abarott(at) Hotmail dot com. Nice use of your stencils & such a cute banner. Ah, so fun. Always enjoy your projects - so creative. 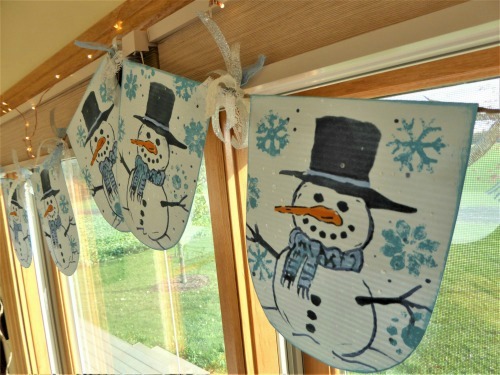 This is one fun banner for Christmas using that adorable snowman stencil. Thank you so much for sharing the steps and inspiration. 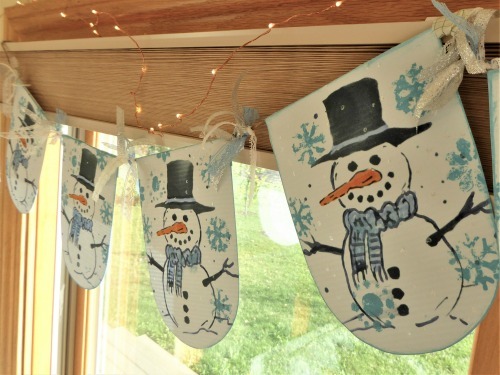 Love this cheerful snowman banner! So simple yet so effective!!! Love them! what a happy banner, and appropriate after the holidays, too! So cute and festive! And you could leave it up all winter. TFS! Omgosh! This is so stinking cute Janet!! !I love it! I love your colors and design on the book covers! Now I may have to get the shimmer sprays too. I like to make journals too.